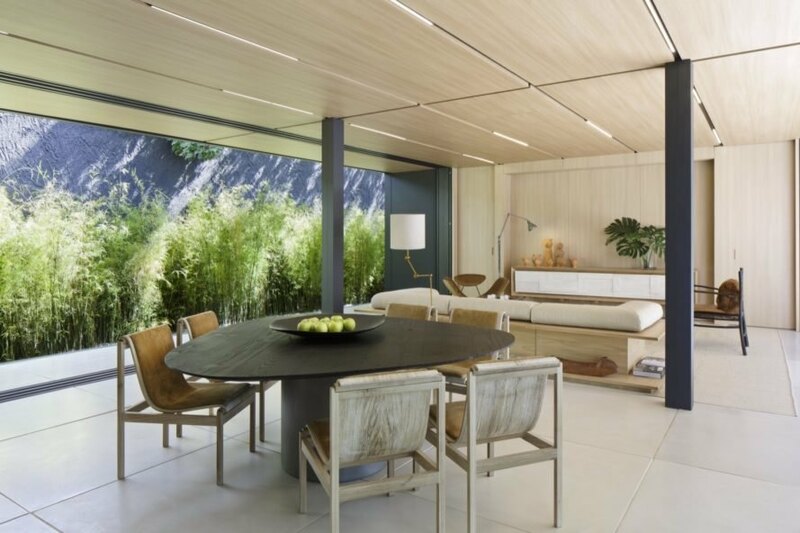 São Paulo-based engineering and construction company SysHaus and Brazilian architecture firm Studio Arthur Casas have designed and installed the first-ever SysHaus, a modular family residence that features a wide array of eco-friendly features. Prefabricated from 100 percent recyclable materials, the São Paulo house was constructed in just 28 days using proprietary technology that the designers say “doesn’t generate excess materials or utilize water.” The energy-saving elements of the house include a rainwater catchment and reuse system, solar roof tiles, a green roof and even a biodigester to turn organic waste into gas for the fireplace and kitchen. 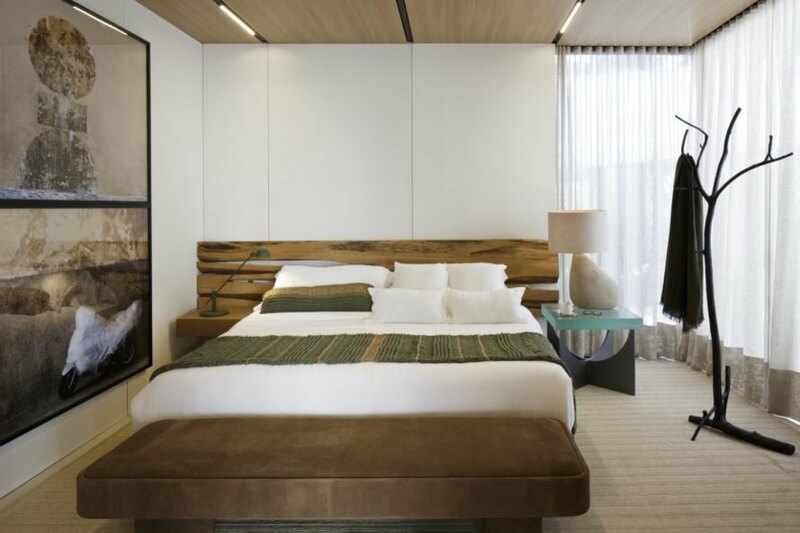 The chic and contemporary design of the SysHaus spans nearly 2,200 square feet. Since the single-family home was designed to embrace environmentally friendly principles both inside and out, the design and construction team enlisted the help of landscape designer Renata Tilli to direct the planting plans of the garden spaces. The lush landscape includes bamboo and grass, fast growing plants that require little maintenance and water. 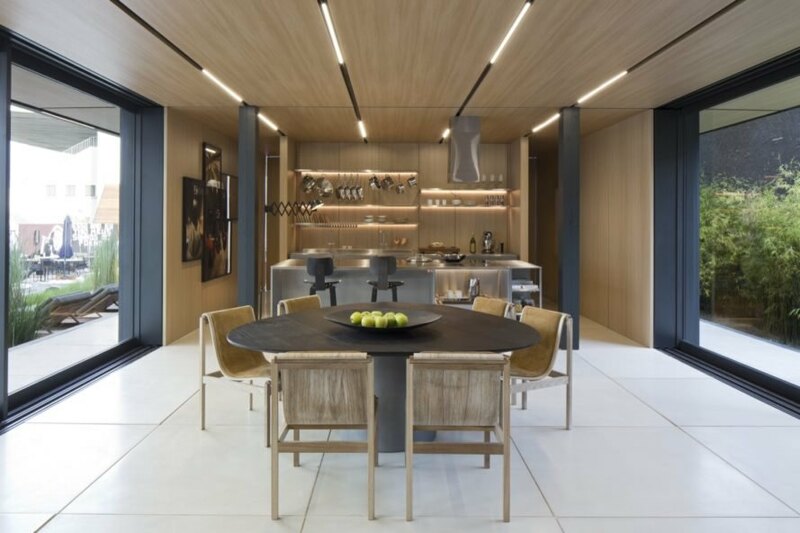 In contrast, Tilli also specified the inclusion of several olive trees, chosen for their slow-growing characteristics in a nod to the home’s longevity. Architect Arthur Casas directed not only the architectural design of SysHaus, but also determined the interior furnishings and finishes of the prefab home. 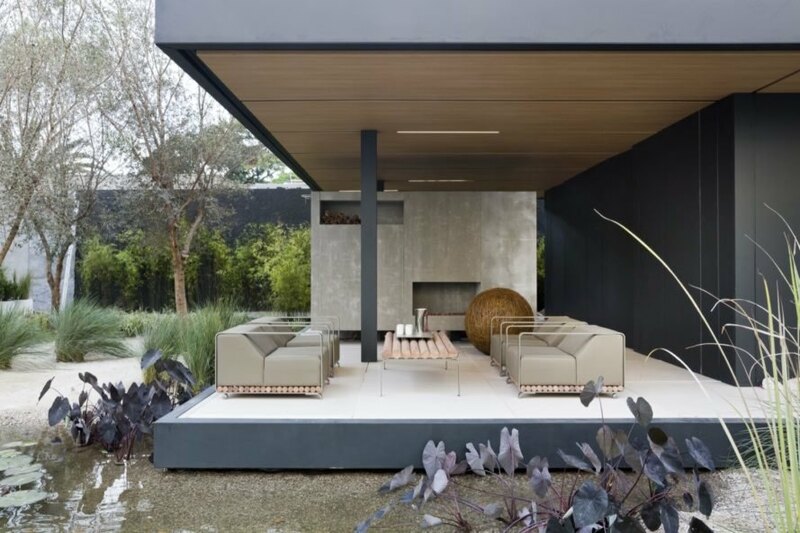 The cohesive design emphasizes a strong connection with nature thanks to its natural materials palette and large sliding doors that blur the boundary between the interior and exterior, which continues on to the outdoor landscaping and living spaces. The home features a sense of fluidity in the interior spaces, which feel interconnected. The SysHaus was prefabricated in 28 days. Large sliding doors open the interior up to the outdoors. Dark pillars help break up the interior space. The interior features a natural material palette. A look inside one of the bedrooms. Studio Arthur Casas was in charge of the design as well as the interior furnishings and finishes. The living spaces extend to the outdoors.